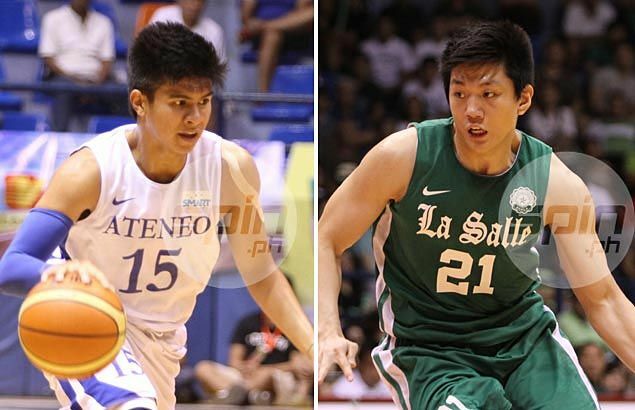 THE first Ateneo-La Salle match in the UAAP Season 78 seniors basketball competitions is set on October 4, a Sunday, at the Mall of Asia Arena. Reigning MVP Kiefer Ravena and the Blue Eagles take on Jeron Teng and the Green Archers at 4 p.m., according to a schedule approved by the UAAP during Monday’s board meeting. As in recent years, tickets will be sold separately from the first game, which will feature season host University of the Philippines against Adamson at 11 a.m.
Ateneo and La Salle split their season series last year, with the Blue Eagles taking the win in the first round, 97-86, before the Green Archers evened things, 88-86. There was no change in the earlier scheduled openers on September 5, with University of the East facing host UP at 2 p.m. and University of Santo Tomas taking on Adamson at 4 p.m. at the Smart-Araneta Coliseum. The following day at the Mall of Asia Arena, La Salle faces reigning champion National University in the at 2 p.m. and Far Eastern University battles Ateneo at 4 p.m.